"Rising Star in the Industry"
In her interview with Sewmamasew, Sherri Lynn Wood shouts me out as a "rising star in the industry". 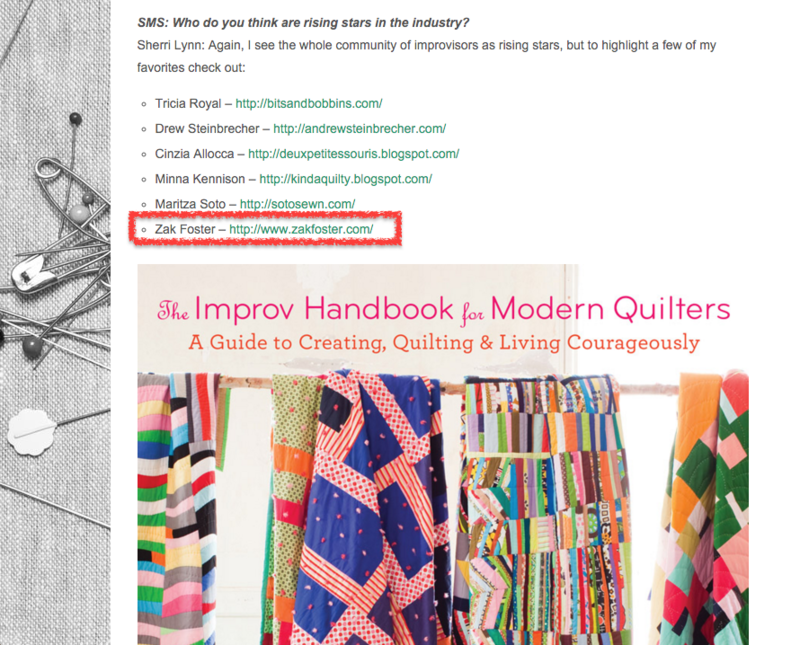 The other quilters she mentions are all talented, so it's such an honor to be named among them. You should check out their work too!